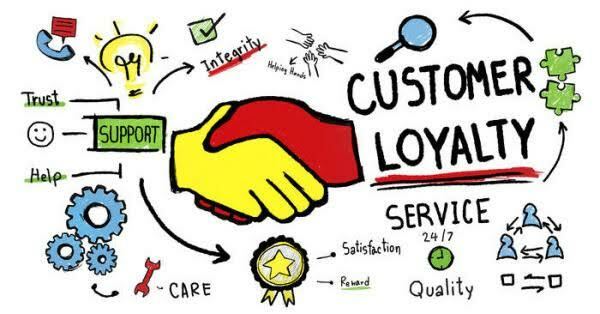 It may come across as though big companies always tend to retain customers and have a strong customer loyalty program. 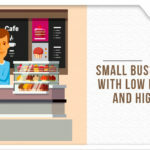 In reality and based on statistics, small businesses tend to have stronger customer retention, due to the personalization these small businesses can offer. Now that the ball is in your court, what are the measures you can take up to retain customer loyalty? Have you ever thought of deploying a customer loyalty program to drive more repeat business? And what about offering gift cards for your customers to purchase? Customers find these kinds of programs interesting and encouraging. What’s more, done right they achieve real financial benefits. Research study shows that having a strong custom royalty program has increased sales by 20%. Customers love being a part of a loyalty group or a program. It makes them feel as though they are a family in the business. But no one likes a cumbersome signing up process. Keep your program as simple as possible. Just a mere few details and not a time consuming process. To make it more interactive add-on offers like, ‘Signing up right now will give you a voucher worth XYZ amount free’ or ‘Onjoining our loyalty program get 20% off in your birthday month’ or even a system as simple as reward points. Noncash benefits always make the customer feel like they are saving up on the money. When your customer loves your product, they are bound to tell their group of friends about it and pass on the word. These friends are then going to check out your product converting potential customers to actual customers. By providing a referral program, you are actually providing an incentive to your customer without much hard work. Let your clients know the perks of having a referral via an SMS, phone or email. Getting your customer involved in your business is always a good idea. By this we do not mean make them a part of your daily operations or finances, it simply means give them an ear. The best critics for your product/service are your customers. They are also the ones with the honest opinion and give opinions on how to make your business better. Listening to them, taking their feedback and implementing it will go a long way. Consider setting up a suggestion box, where they can put their ideas to improve your business. While of course, the aim of every business is to increase sales, let that be the process that happens by design, don’t make it happen. Concentrate on your product. This is your business and you obviously believe in it. Be knowledgeable about your product and be sure to understand your industry. When customers ask for suggestions on which service or product they should purchase, they feel a sense of security if you can offer insight, and a sense of trust when you tell them that this product by might not be what is best for you. Being honest gains their trust, leading them to believe in you and hence eventually purchasing something. Your aim should be to be a one-stop shop for everything your customer might need for that product. For example, let us say your primary business is selling wallets. One of your regular customers now wants a personalized wallet or a clutch. You may not provide that product but that does not mean you say an outright no. You could consider making that product for your customer or ordering it from another manufacturer and selling it to your customer or providing recommendations from where to get it and offer to order it for them to ease their convenience. This gesture will most definitely help you retain your customers. Understanding your business model in and out and making offers molding it to your business and customer needs will help you grow your customer base in a very efficient and cost-effective way. Listening to your customers, taking their feedback into action, providing services to keep them happy shows that you whilst you care about your business, you definitely care about the individuals you are providing your business to.